Ever since its debut on the market back in 1966, Pocky has been a hit with consumers. Now loved by people around the world, the Japanese brand has grown to include different flavors, and different sizes, with extra-large versions now sold as regional souvenirs, showcasing renowned local specialties and produce from around the country. So far, Glico has produced seven regional exclusives, featuring flavors like Yubari melon from Hokkaido, Uji Matcha from Kyoto, Satonishiki Cherry from Tohoku, Amaou Strawberry from Kyushu, and Gorojima Kintoki (a type of sweet potato) from Hokuriku. It's been a long time coming, but now the Tokyo region will finally be getting its very own Pocky. And like the other regional varieties, this one has a local backstory steeped in history and tradition. The new Pocky is called Tokyo Amazake. Amazake, which literally translates to “sweet sake”, is a traditional drink made from fermented rice. Containing little to no alcohol, amazake is believed to have existed in Japan for over 1,000 years, and while it’s usually served hot in the winter, especially around New Year’s, it’s recently become popular as a health drink. Tokyo Port Brewery flourished in the late Edo period (1603-1868), but they ceased operations during the Meiji Restoration in 1868. 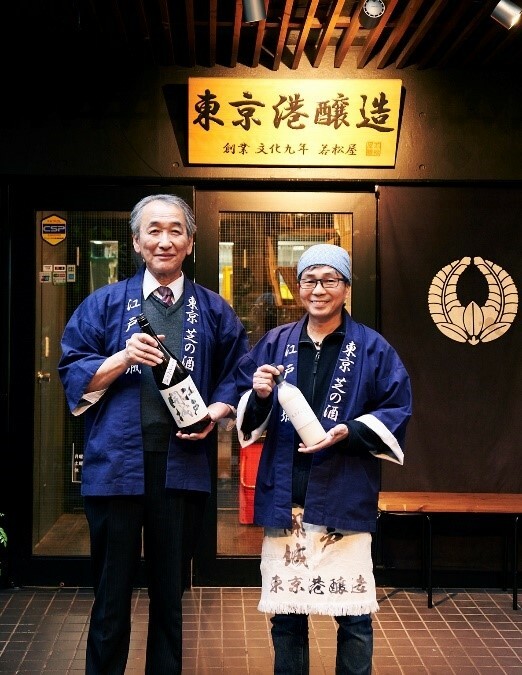 More than a century later, in 2011, the brewery recommenced operations, making it the only brewery located in the 23 wards of Tokyo. The new Pocky will be available to purchase at souvenir shops, stations, airports, large retail outlets and highway rest stops in Tokyo, and in neighboring Kanagawa, Saitama and Chiba prefectures, from Feb 5.